Born on 5 August 1961, Datuk Seri Hishammuddin Hussein has all the hallmarks of a potential Prime Minister. That he has successfully steered away from the current controversies and is safe (at least for now) from darts, arrows and missiles and has not been embroiled in ongoing raging issues shows he has truly come of age as a Malaysian politician. 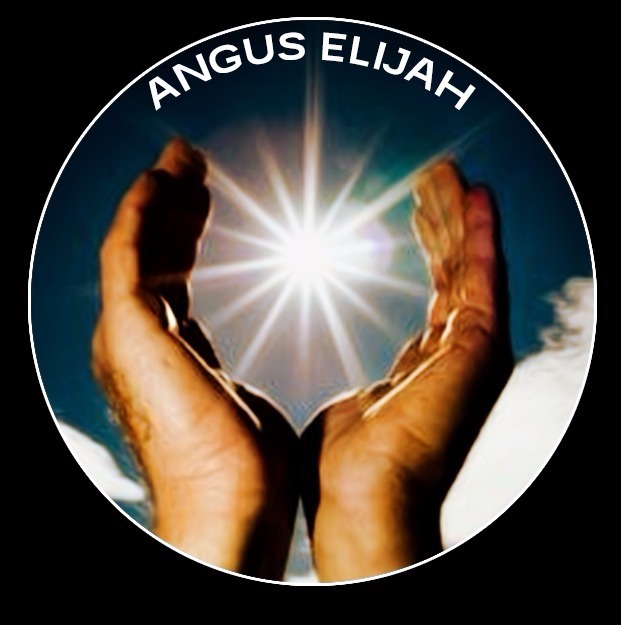 His portfolios have been nothing but impressive and all have given him the edge over other contenders to take over the helm of government should there be a change of leadership. His journey to the top (or almost at the top) has been marked by an astounding record of achievement. Currently, he is Minister of Defence of Malaysia, a portfolio he has been holding since 16 May 2013. Datuk Seri Hishammuddin was Minister of Home Affairs from 2009 to 2013. For five years, he was the Minister of Education from 2004–2009. Prior to that position, he served as Minister of Youth and Sport (1999–2004). As acting Minister of Transport (2013–2014), Datuk Seri Hishamuddin achieved international prominence in March 2014, as the minister responsible for investigating the disappearance of Malaysia Airlines Flight 370. His eloquence when contending with questions from international press, his composure when all else seemed to be falling apart, his compassion when dealing with bereaved families left a lasting imprint in the hearts of all who the brilliant manner in which he handled the challenging post-MH 370 scenario. In terms of organizational structure, as one of the party’s three vice-presidents and former chief of the party’s youth wing from 1998 to 2009, Datuk Seri Hishamuddin is definitely a man of substance within UMNO. Notwithstanding, he is also the son of Malaysia’s third prime minister, Hussein Onn, and the cousin of the sixth and current prime minister, Najib Razak. His mother, Suhaila Noah, was from an illustrious family and his great-grandmother (mother of Hussein Onn), was a Circassian from Turkey. With such an impressive background in bloodline and experience, there seems to be only one spot in his record book – the kris waving incident at the 2005 UMNO convention. Through time, it appears this has not been a setback in his political career as he has come forth stronger than before. When Mahathir made the announcement of his retirement Hishammuddin was pacifying Tun with Rafidah n others. Does this not show he is a favoured one? He even visited Taib Mahmud and when he went back to peninsular he was down with heart problems. Does this also mean that he is not destined? 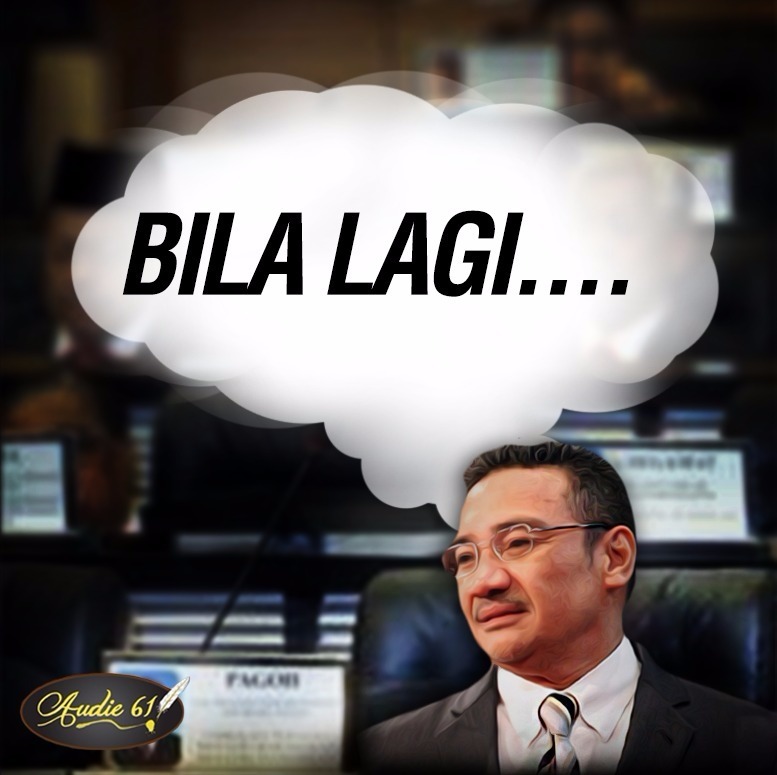 Najib does not want Hishammuddin to be in front yet or else he too will be brought down. Yet, the question remains. Why is Najib keeping Hishamuddin in the shadows? front and overtake all other contenders to the PM’s position. Wikipedia, Internet sources, my friend Natassha and Audie. KUCHING, Feb 12 (Bernama) — Sarawak Chief Minister Tan Sri Abdul Taib Mahmud Wednesday announced that he will be stepping down as chief minister effective Feb 28 and would be suceeded by Special Functions Minister at the Chief Minister’s Office and Parti Pesaka Bumiputera Bersatu (PBB) Supreme Council member Tan Sri Adenan Satem. Taib said he handed over his resignation letter to Yang di-Pertua Negeri Sarawak Tun Abang Muhammad Salahuddin Abang Barieng, Wednesday. “When I informed him (Tun Salahuddin) of my intention (to resign as the Chief Minister), he had no objection,” he told a press conference after having an audience with the Sarawak Head of State at the Astana Negeri here. Taib said Adenan’s name was recommended to Salahuddin, which the latter agreed to. 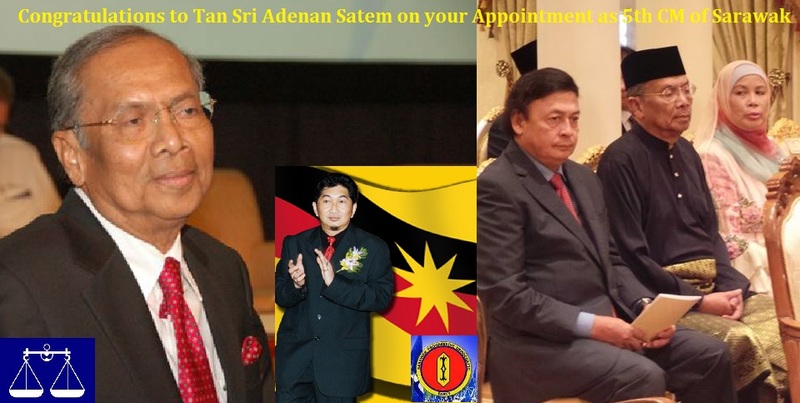 He added that the swearing in ceremony for the new Sarawak Chief Minister was also scheduled for Feb 28. “Adenan represents a kind of agreement between the three candidates (mentioned to succeed Taib as the Chief Minister),” Taib said. The other two candidates were PBB deputy president Datuk Amar Abang Johari Tun Openg and Senior Vice President Datuk Amar Awang Tengah Ali Hasan. Taib said the selection of Adenan, who is also the assemblyman for Tanjung Datu, as his successor was also to make sure that the State Barisan Nasional (BN) would continue to keep the team spirit that had been thriving among them over the last few years. Adenan is also PBB Information Chief and MP for Batang Sadong. Taib expressed his confidence that with the established policies that had been developed together and the team of leaders who would be working with Adenan, Sarawak would keep up the momentum of fast development in the future. Taib, who had held the Chief Minister’s position since 1981, said he would also be giving up his Balingian State seat following his resignation. “Any by-election after I leave should be left to the new Chief Minister (Adenan) to decide and probably it will be his first duty to consult all the other relevant Barisan Nasional partners as to who will fill it. I have no people in mind to replace me and to be fair, I leave it to the (new) Chief Minister,” he said. Taib said that while he accepted graciously the recommendation for him to become the next Sarawak Head of State should Tun Salahuddin decline his appointment’s extension, it would be up to Yang Dipertuan Agong Tuanku Abdul Halim Muadzam Shah and Prime Minister Datuk Seri Najib Tun Razak to decide on this (succession). He said he was made to understand that those aligned to him in the State wanted him to become the next Yang di-Pertua Negeri Sarawak to ensure that the confidence that had been built on the State’s stability over the years would be least affected. “All (the) investors or other people who have faith in Sarawak will know that I have prepared a team that is well equipped to run the State and understand the mood of investors on Sarawak as much as I do and I think that is the best I can hope for,” he said. Asked on what was his best achievement in his 33-year tenure as the Chief Minister of Sarawak, Taib said: “In all humility, I can say that I’m quite happy to see one thing… that in the Barisan Nasional the feeling of racial cooperation has grown, at least among the natives. “I must say here, I think I could not have asked for a better opportunity to serve the country than as what I have done with all the limitations but one thing I can say is this … I enjoy working with all my colleagues because over the years we have reached greater understanding with each other than we first started,” he said. Taib said when he first started as the Chief Minister, there were a lot of misunderstandings between him and the other State leaders but the relationship had grown for the better over the last two decades. “I must say apart from (the) political manouverings going on between the opposition and the government, I think we had a relatively harmonious political development over the last 20 years and we should keep it that way,” he said. He said that he was not sad to leave even after so many years at the helm as he believed that he was leaving the task of governing the State under good and experienced hands who could do their jobs well without him. In a joking tone, he said the only sad thing for him would be the pressure of the work as a Chief Minister. “I’m so used to working under pressure all the time so maybe I’m going to miss that. I’ve got to learn not to drive (at a) sports car’s speed… but a more sedan speed. It is more consistent to my age,” he said.